Cozy mountain holidays in Taos Ski Valley. Welcome to your home away from home. Ski up to this beautiful 3 bedroom 3 bath condo just above the world famous Taos Ski Valley Ski School. One of the best kept secrets in the Valley. Brekenridge 1 overlooks the valley with ample entertainment and sleeping arrangement. Ski in for lunch and hop on the gondola to the base for aprés! Vail 1 offers 2 bedrooms and 2 baths. Ski in down Snow Bear Rd from Whitefeather, ski out to the Children's ski school or the new Gondola to the base. 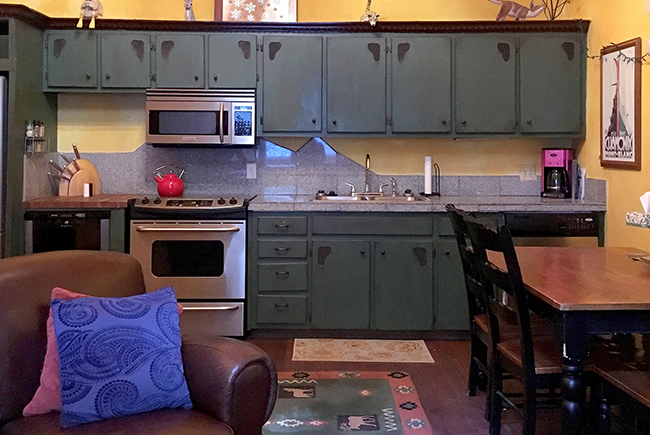 Brekenridge 4 is a private, secluded ski-in condo on the storied slopes of Taos Ski Valley. This 2 bedroom 2 bath condo is roomy, warm, and sleeps 8. Aspen 2 is a quiet and comfortable, one bedroom and 2 bath condo with kitchen and deck overlooking the Rio Hondo canyon. Get ready to enjoy your stay. 2 bed and 1 full bath, open concept full kitchen, and living and dining space. Sleeps 7 comfortably. Lots of light and great mountain view. Chamonix 3 provides ski-in-ski-out access to some of the best turns in the Rockies. This little gem has 1 bedroom and 2 baths, sleeps 4. Chamonix 1 is closest to our parking area and mountain access. With one bedroom, tidy kitchen and convertible living area, this space sleeps 4 comfortably. Cozy up after a day on the slopes for a warm, restful night in your own little place on the mountain. Wake up to some of the finest views in the Valley.